My first writing attempts were worked out on a youth theatre group that I was part of back in the 1980’s. I think I learned some craft there and found out how exciting it is to have people speak your words, tell your stories. Since then I have written plays with and for many different groups including small-scale rural touring, adult amateur theatre groups and youth theatre companies. 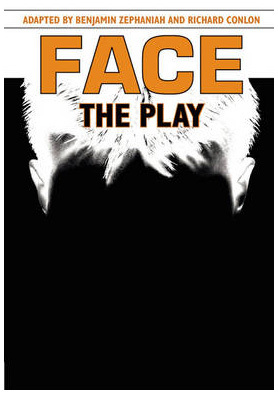 I have had a number of plays published and ‘Face: The Play’ is currently on a UK GCSE Drama syllabus. As well as imagining dialogue I am interested in crafting texts out of verbatim accounts. Using real people’s real speech normally dispenses with traditional story structure but creates a direct link to a person and their tale – it can be surprisingly powerful and entertaining. Originally written in 2014 for you theatre groups, this is based on the privately run youth-correction facilities which still exist around the world. Published (in a slightly less dark version) in 2006, ‘Hope Springs’is by far my most performed play. Adapted from Benjamin Zephaniah’s novel, this play uses complex drama techniques to tell the story of Martin before, during and after the accident which disfigures him. The text is on a UK GCSE Drama syllabus and I’m always happy to travel across the country running workshops on the play. 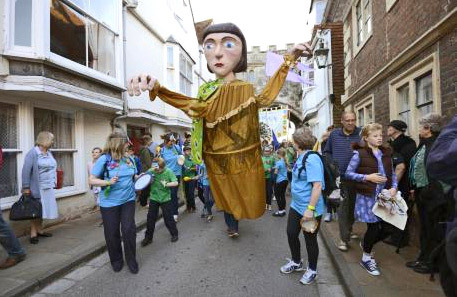 A freelance writer finds themselves learning all the time and my 2015 commission to encapsulate the spirit of Magna Carta in words which could be spoken by a three metre processional puppet gave me a chance to learn all about one of our most important documents.